A developer who calls himself T Rizk doesn't have much faith in Congress making the right decision on anti-piracy legislation, so he's built a work around for the impending censorship measures being considered DeSOPA. The Firefox add-on is stunningly simple as the Stop Online Piracy Act (SOPA) would block specific domain names (e.g. www.thepiratebay.com) of allegedly infringing sites. Firefox, which already boasts an outspoken stance against SOPA, and has already shown they are willing to stand by add-on developers who create circumvention extensions designed to go around measures currently employed by Homeland Security, has welcomed a new add-on, one that is designed to circumvent whatever SOPA website blacklists that are created, provided the bills become law. A new anti-SOPA add-on for Firefox, titled “DeSopa” is such a counter measure.When installed, users can click a single button to resolve a blocked domain via foreign DNS servers, bypassing all domestic DNS blockades and allowing the user to browse the site though the bare IP-address (if supported).“I feel that the general public is not aware of the gravity of SOPA and Congress seems like they are about to cater to the special interests involved, to the detriment of Internet, for which I and many others live and breathe,” DeSopa developer T Rizk told. “It could be that a few members of congress are just not tech savvy and don’t understand that it is technically not going to work, at all. So here’s some proof that I hope will help them err on the side of reason and vote SOPA down,” he adds. If SOPA is implemented, thousands of similar and more innovative programs and services will sprout up to provide access to the websites that people frequent. SOPA is a mistake. It does not even technically help solve the underlying problem, as this software illustrates. What it will do is give undue leverage to predatory organizations, cripple innocent third party websites, severely dampen digital innovation and negatively impact the integrity and security of the Internet. 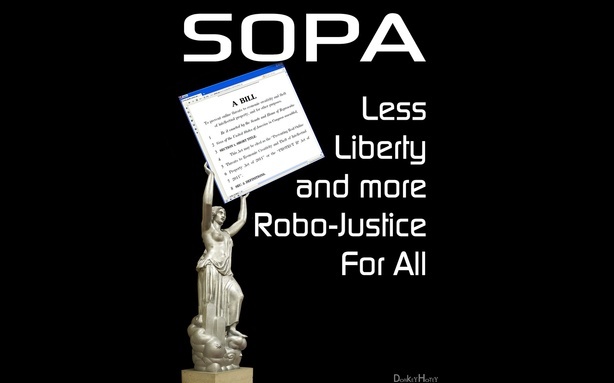 If browsing a site through a single IP address is not supported, this other anti-SOPA plugin provides an alternative.